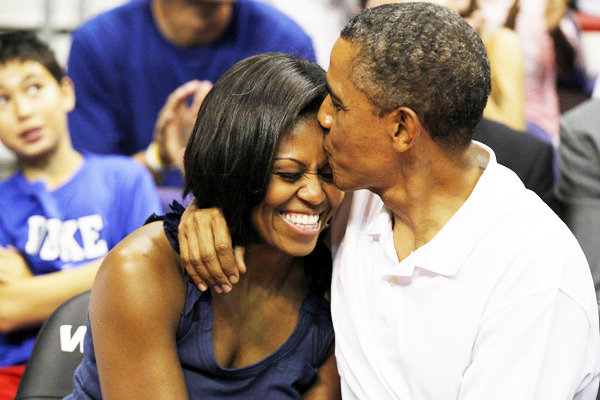 President Barack Obama and First Lady Michelle Obama celebrated their 23rd wedding anniversary on October 3. In recent years, the date has fallen amid election campaigns, budget showdowns with Congress and other crises. The President and First Lady posed for a handful of photos, some of which included their two daughters Malia and Sasha; but information on how the couple celebrated their nextto-last anniversary in the White House was not available at press time. President Obama was back to work the following day speaking at the National Fallen Firefighters Foundation Memorial Service on the campus of Mount Saint Mary’s University in Emmitsburg, MD. At the event attended by 4,000 people affected by the loss of a firefighter, President Obama paid tribute to the 87 firefighters who died in the line of duty in 2014.